ASME just released a standard that covers definitions of terms and features unique to 3D printing, and ASTM started a testing program for powder metal. With additive manufacturing (AM) on the rise and, in turn, disrupting markets of all types, it can be hard to keep up with everything. Nonetheless, the AM industry isn’t sitting idly by, as it continues to work on developing standards to keep pace with the new materials and machines that seem to be launching every week. I had the privilege of attending a two-day Future of 3D Printing in Medicine and Dentistry conference on January 22nd and 23rd in Washington, D.C. at the Army and Navy Club. The Additive Manufacturing Strategies summit was sponsored by SmarTech Markets Publishing and 3DPrint.com. Day one was entitled 3D Printed Medical Devices. The opening keynote speaker was Lee Dockstader, Director of Vertical Market Development at HP Inc., whose thorough presentation set the stage for the entire conference. Dockstader wants to develop additive manufacturing in industries including Aerospace, Automotive, Medical, Dental, Life Sciences, Consumer and Retail. Scott Dunham, Vice President of Research at SmarTech Markets Publishing, gave a comprehensive presentation that was particularly informative on the large production volumes occurring with certain non regulated low entry barrier products. The consensus estimate is that 300,000 low barrier medical devices are now 3D printed per day. Dr. Roger Narayan, Professor of Biomedical Engineering at UNC, gave a detailed presentation on the technical and regulatory aspects of additive medical markets. 3D printing has the potential to revolutionize business models and provides access to custom and functional prosthetic and orthotic medical devices. The advent of 3D printing has had some surprising applications, particularly in the food industry. The adoption of 3D printing in the manufacturing sector is growing, but as with any production technology, the key to proliferation lies in finding the right niche. Maintenance, repair and overhaul (MRO) services offer a promising entry point for job shops and small and medium-sized enterprises (SMEs) to use additive manufacturing for more than just prototyping. 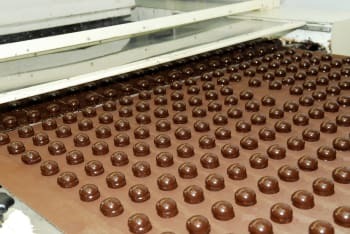 The Chocolate Factory, based in Rotterdam, recently learned this firsthand. Researchers are learning more about how explosions work, and using 3D printing to control the release of energy. There’s one maxim that Hollywood films and real life actually have in common: Explosives are serious business. The idea of arming and disarming them in movies such as the Hurt Locker and The Italian Job can be as intense as real life. The ignition system is incredibly important—if you have an ignition that goes off easily, it might go off when you don’t want it to. However, if the ignition system is more stable, it might not go off when you want it to. In a paper from the Los Alamos National Laboratory, Alex Mueller is leading a team to create the next-generation of explosives using 3D printing. By examining the microstructure and manipulating internal hollow spaces of TNT, the scientists are trying to control and tailor a new form of explosives. A FedEx and 3D printing venture has been expected for some time. From 3D printed drone-delivery, to on-demand bureau services, postage and shipping companies are investing in the future of additive manufacturing. In the latest news from the logistics sector, FedEx has announced that it will be launching a new, 3D printing oriented, company under the name FedEx Forward Depots. The company is the product of a company-wide structural realignment, dedicated to “customized,” “convenient,” and “intuitive” services. When UPS started offering on demand 3D printing services in 2013, many predicted that FedEx would be quick to follow. A case study from 2014, featuring 3D printed medical implant manufacturer Stryker, in fact shows that FedEx has been paying keen attention to 3D printing, and the idea of “Going local” with manufacturing. “Currently, some medical device companies are delivering 3D printed implants manufactured around the world to hospitals within 24 hours,” reads the company case study. As rapid-fire advances enrich the 3D-printing landscape, file formats have to keep pace to support these changes, or there’s a risk of neutralizing further progress. In the beginning, there was the stereolithography file, commonly called the STL file. Although not very complex—it was essentially a collection of triangles—the STL provided a way to get data into 3D-printing systems. Enough hardware manufacturers used STL for it to become something of an industry standard, providing some much-needed interoperability during the additive-manufacturing industry’s early days. However, as the industry matured, STL’s various shortcomings came into focus. Since STL files were little more than a giant soup of triangles, they were difficult to work with. If you wanted to edit a face or reposition a part, you’d have to figure out a way to change numerous triangles—a highly inefficient and error-prone process. H.K. Chan, J. Griffin, J.J. Lim, F. Zeng and A.S.F. Chiu from Nottingham University Business School China, University of Nottingham Ningbo China, Law School at University of Exeter, Exeter, UK, and De La Salle University in Manila, Philippines prepared a very insightful paper on the impact of 3D printing on supply chains, with a focus on the Chinese market, but with lessons that can be extrapolated to other countries. Well worth a read. The 3D Printing (3DP) industry has been receiving increased public attention. Many companies are seeking ways to develop new means of creating and disseminating 3DP content, in order to capture new business opportunities. To date, however, the true business opportunities of 3DP have not been completely uncovered. This research explores the challenges posed in the development and deployment of 3DP, and focuses on China which is still the main manufacturing hub in the world. By means of empirical semi-structured interviews with 3DP companies in China, the current application of 3DP technology in the industry and the associated challenges are investigated. Although many companies can see the benefits of 3DP, its potential has not been delivered as promised. Several areas have been identified that could be improved further. The interviews with 3DP companies are used to learn about the gap between the 3DP technology in depth, and 3DP industrial applications which can further improve the growth of the 3DP industry. Mass Production – Is 3D printing up to the supply chain challenge? Trends in additive manufacturing for end-use production was a recent in-depth look at what some see as the the next phase of 3D printing. 3D printed sneakers, custom-fit insoles, clothing and toys – commercial 3D printing – are often the subject of hype surrounding 3D printing’s integration into the supply chain. There are many big names behind these projects, for example adidas and Carbon of Futurecraft 4D sneakers, Formlabs and New Balance, EOS and Under Armour. However, the making of 3D printing for series-level manufacturing will, in many ways, be shaped by its adoption in China and the surrounding countries – the global center of mass production. The Impact of 3D Printing Technology on Supply Chain in China is considered in a new report by H.K. Chan, J. Griffin, J.J. Lim, F. Zeng and A.S.F. Chiu, of the University of Nottingham Ningbo China, the University of Exeter in the UK, and De La Salle University in the Philippines. Author Supercharg3dPosted on 23rd January 2018 5th February 2018 Categories Paradigm Shift, Supply Chain ImpactTags Mass productionLeave a comment on Mass Production – Is 3D printing up to the supply chain challenge? FDM 3D printing proves better than traditional manufacturing in this latest case study from Moog Aircraft Group (NYSE:MOG.A) and leading Stratsys reseller SYS Systems. As a solution for spare parts and tooling, fused deposition modeling (FDM) is the 3D printing technology of choice for cutting costs and lead times at factories around the world. In recent news, Ricoh opted to switch out metal for FDM 3D printed plasticsat an assembly factory in Japan. And Spain’s Indaero won a lucrative Airbus contract on the back of its FDM part production. 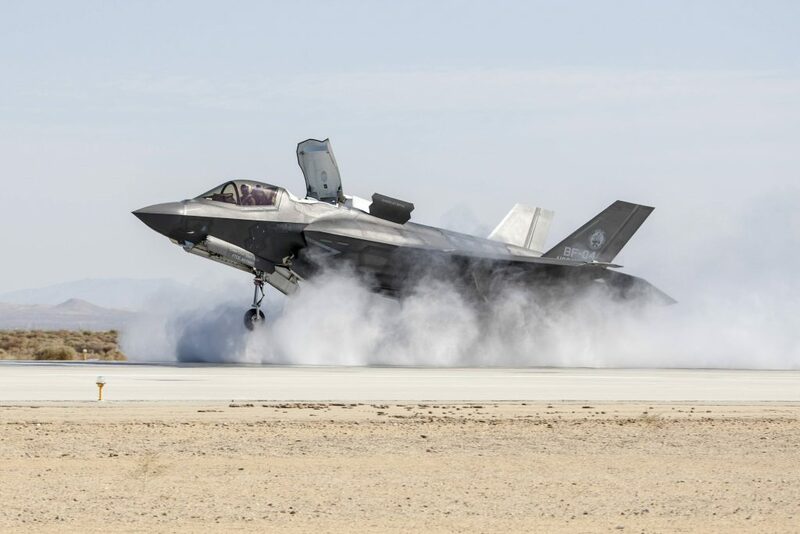 The Moog Aircraft Group is already a key part of the supply chain for many aerospace/defence companies including Lockheed Martin, Boeing, Airbus and Northrop Grumman. In collaboration with SYS Systems, Moog identified FDM 3D printing as the best solution for producing bespoke fixtures, used in the machines that qualify aerospace-grade parts. 3D printing for ships is gaining steam. In the U.S., the navy is holding a number of trials for both offshore and yard-based tooling and also investigating 3D printing spare parts. And wire-arc additive manufacturing (WAAM) has become increasingly used in the Netherlands for producing large, sea-faring and rig components. 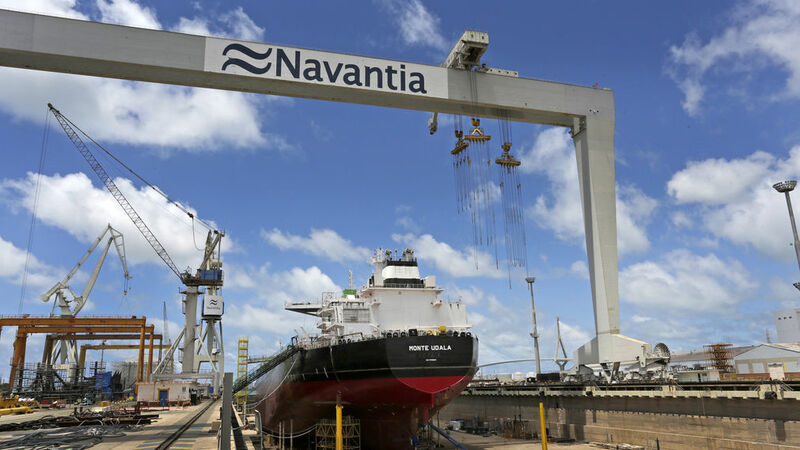 Now, Spanish ship builder Navantia has launched a 3D printed parts trial aboard the Monte Udala Suezmax oil tanker. Suezmax tankers are built to the largest ship measurements capable of transiting Egypt’s Suez Canal. While not constrained by length, Suezmax tankers are typically 50 meters wide, and can be up to 68 meters tall. In 2015, Navantia was commissioned by Ondimar to build four of these supertankers to specifications of 274 m by 48 m (L x W). Looking for ways to innovate the process, Navantia is collaborating with the INNANOMAT (Materials and Nanotechnology Innovation) lab at the University of Cádiz (UCA).